A Halloween table runner and the scary hook! But she loves decorating for Halloween and I love her. As you can tell… part of this project requires black thread! The Stacked Pumpkin Table Runner pattern can be downloaded at the Red Heart site (here) It called for 2 balls of Classic Crochet Thread size 10 Pumpkin and one size 12 ball of Black. I found that I needed 3 balls (2 plus some) of the Pumpkin colour. My sister and I are big Disney fans so I decided to modify the pattern a little. When I printed off (and enlarged) the graph I simply filled in a few extra spaces to form “Mickey ears” on the top pumpkin. Another modification that I did was to the border. I was tight for time and decided to just add to the checkboard edge with a scallop finish to the ends vs the tassels. Jack in Black. 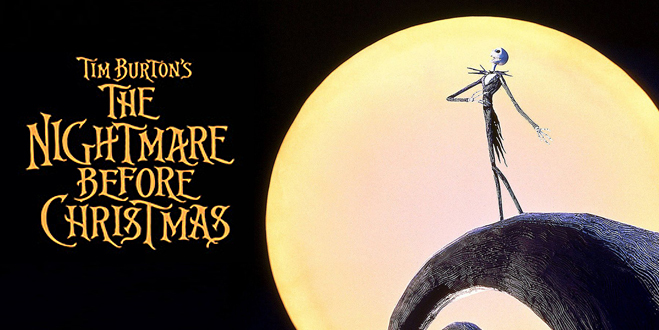 Jack Skellington by a CS&BK follower. It’s been a busy month and it has shown in my lack of posting (here and on Patchwork Ponderings). Yet with everything going on I had to make time to share this with you. Skellington blanket. I was so thrilled that someone asked me about it! The other day she sent me a photo of the blanket that she created for her son. Melinda decided to make the blanket black with a white Jack since a white blanket would not be practical for her son while he was on deployment. I’m happily sharing this photo of her yarn art with her permission. Melinda, Thank you for sharing. Best Wishes to you and your son. I really have to call this a Set of Directions because pattern implies a step by step (row by row) instructions. The original grid is one I found on Pinterest (it’s actually a friendship bracelet pattern). Please feel free to use these directions for your own personal use. Do not sell this set of directions. Please do not use my photos as demo for your work. I’d love to see your work. Please link back here with your creations. I’m sharing the details I used to work out the directions. If you’d like to make your own you’ll have to do some prep work. Draw your own lines/squares to add the appropriate width and length. And count squares per “row”. I suggest that you watch these videos. They are how I discovered how to count the squares per row AND very importantly how to make a C2C (Corner to Corner) rectangle. Sorry I did not count the balls as I made this project!! This is a guess-stimate. 3. With ruler draw (extend) graph. Make enough new boxes to complete bed sized blanket. 4. Use a ruler to draw diagonal lines through boxes to visualize the C2C rows. (And help you count the number of squares per colour. * see above video) REMEMBER to note the alternating direct of each row. 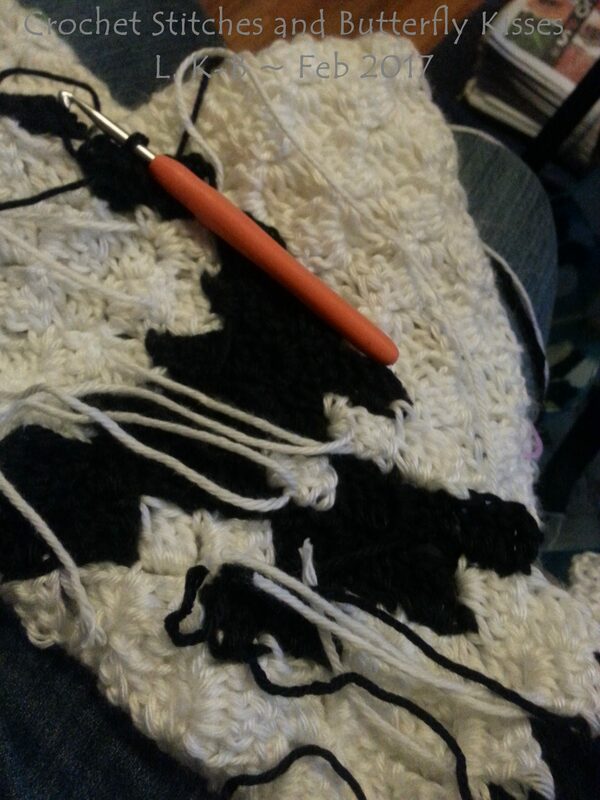 Starting with white begin your Corner to Corner Jack Skellington blanket. Crochet the first corner block. Dc in 4th ch from hook, dc in each of next 2 stitches. Begin the 2nd row. Turn and ch 6. Crochet 1st block of 2nd row. Repeat Step 2 to create the block. Start crocheting the 3rd row. I used stitch markers to note which edge is my “bottom” and which edge is the starting side. In my photos, I count rows starting from left corner so I would be noting the left side of the blanket. If this is your first C2C I suggest using some spare yarn to practice the stitch (follow along with above video) before starting this blanket. This was written several months after I completed the blanket. Please comment below if you find any areas (in my directions) that need updating. Whew! I finished it in time! It took me most of my free time over the past 7 weeks. This Jack Skellington blanket is a gift for our son who is turning 16 very soon! With the frequent colour changes I had a lot of ends to weave in. That got done as I worked the blanket simply because I couldn’t stand the mess! I’m so glad that the inspiration to use the Corner to Corner pattern/stitch came to me because it was perfect for this project. I don’t think I would have finished in time for my son’s birthday if I had done a traditional row by row pattern. 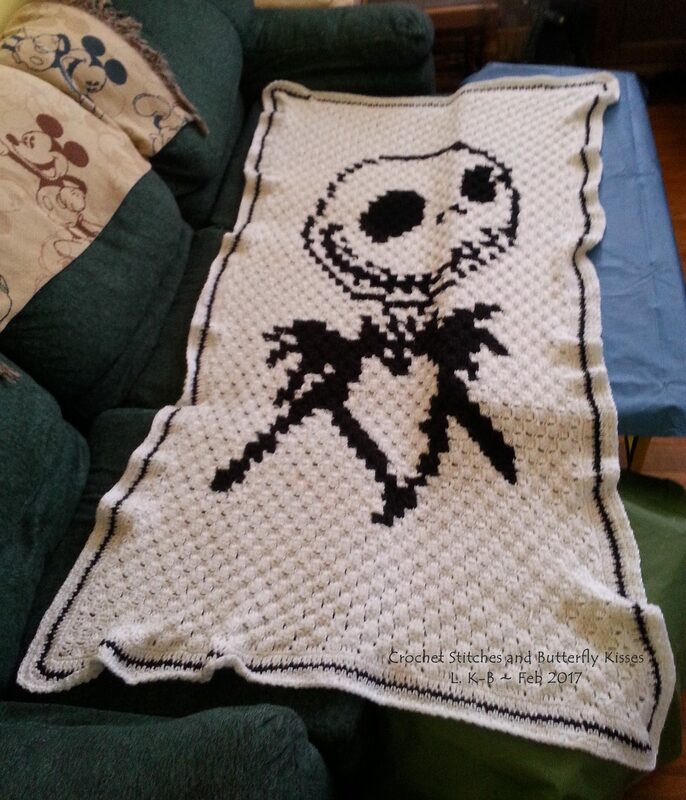 I wrote last month about making this pattern for the Jack blanket. For the edge; a straight stitch didn’t seem to go with the theme so I alternated between a single and a double stitch. It created a kind-of wonky, off beat edge. Simply Soft by Caron was picked for the blanket because of the texture. I think if the texture wasn’t so important, I would have liked a ‘sturdier’ yarn for this big of a project. Yet it is hard to feel any regret about my yarn choice. 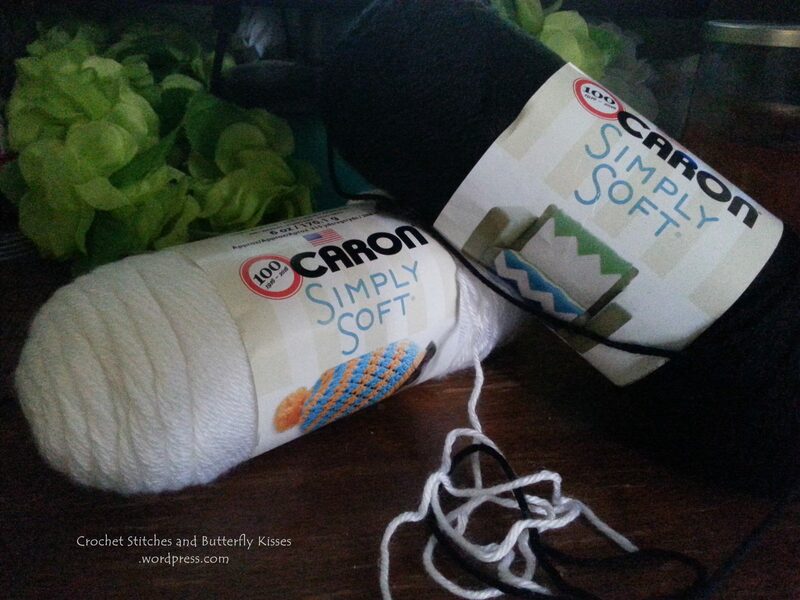 Caron’s Simply Soft is such a pleasure to hold for this many hours! I’m often asked how long it takes to make. I didn’t keep track of exactly how long it took me; I estimate that I was crocheting for around 70 hours. I also didn’t note how many balls of yarn I used! (guess-timate 5 or 6 white and 2 or 3 black). I do know that as with all my, blankets the spaces between the stitches are filled with love. Do I wait ’til his birthday to give it to him or shall I let him watch t.v. with it tonight? This blanket was inspired by Tim Burton’s movie.